When was the last time you inspected your chimney crown? 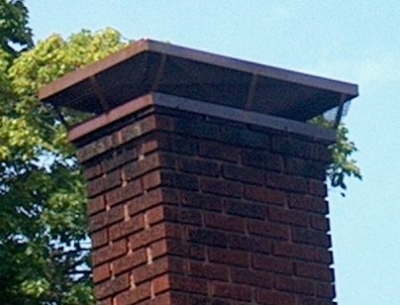 If you’re like most homeowners, you probably haven’t given much thought to your chimney crown. However, if your chimney crown is cracked and not repaired, damage to your chimney from water and other outdoor elements can quickly escalate, costing you thousands of dollars in repairs. Therefore, it’s important that your chimney crown is in good condition. A chimney crown is the concrete slab that covers the top of your chimney. The crown protects your chimney from harsh weather like rain and snow. It keeps water from seeping into the chimney masonry walls and causing damage. The crown does this by redirecting the water to the outside of the chimney where it can fall to the roof or ground. But just as the crown protects the chimney, the crown also needs to be protected. Because if a crown is left unprotected, it will eventually crack and deteriorate. Shifting of the chimney structure. Concrete shrinkage as the water content in the concrete dries out when the crown was initially installed. Freeze-thaw damage from water that’s absorbed into your chimney crown. As the water freezes and thaws – a process called expansion and contraction – the crown can crack and deteriorate. Most chimney crowns have small cracks which need to be fixed, because they allow water to seep in. Then, during winter, as the water freezes and thaws, the cracks can become larger. Once bigger cracks appear, water can enter through these cracks into the masonry below, causing more extensive damage. If your chimney is poorly constructed or has become cracked – allowing water to seep in or posing a fire hazard – contact the chimney professionals at T.J.’s Chimney Service. We will inspect your crown and chimney for damage – and we can build you a proper concrete chimney crown that we guarantee will not crack. Call us today at 317-455-5310 to schedule your appointment.